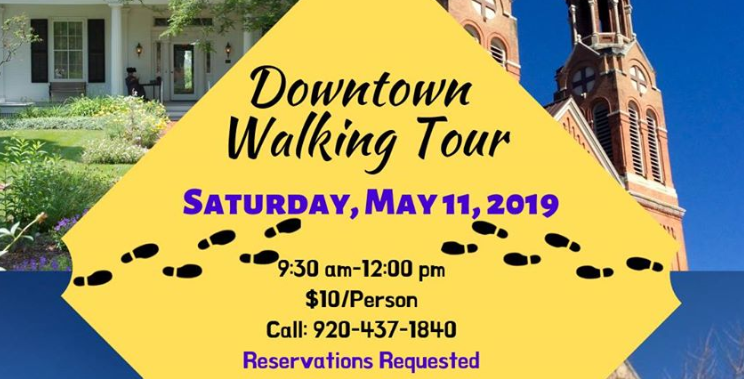 Discover Green Bay’s intriguing history by participating in the Brown County Historical Society’s Downtown Walking Tour. Travel through time and explore Historic Astor Neighborhood and Downtown Green Bay. Journey along the Fox River and learn about Green Bay’s rich culture. Link street names and monuments to famous individuals, all while hearing compelling stories about Green Bay’s founders. The tour begins at Hazelwood Historic House. This is a guided tour that takes place outdoors, please dress accordingly.